Special Needs Trusts are often created with funds received from legal settlements or inheritances. Special Needs Trusts are important documents when established for people who are receiving government benefits. However, as practitioners we must remember that a Special Needs Trust must not only be effectively drafted for those receiving public benefits, the trustee must also make distributions in accordance with the guidelines of the trust so as not to risk loss of Supplemental Security Income (SSI) or Medicaid benefits for the beneficiary. The first place a trustee should look when making a distribution from an SNT is the four corners of the document. Even though the state code may allow a distribution, if the trust instrument itself does not, the trustee must abide by the language of the trust. For example, most states will allow SNT funds to be used to pay for vacations, but if the trust instrument itself states it is not to be used for “travel expenses,” the trustee is now limited beyond what the state code might allow. However, once the trustee is familiar with the limitations of the trust document, he should look to the state code and what programs the beneficiary is on for any other limitations on disbursement. Special Needs Trust payments are designed for “supplemental” or luxury needs not provided for by government benefits. SNT funds are not intended to be used for basic shelter or food, as those needs are provided for by the government benefits. Any money from the trust spent on food or shelter on a regular basis, or given directly to the beneficiary, can count as income for government benefit purposes. If a beneficiary is receiving SSI benefits, the trustee should be cautious not to make payments directly to the beneficiary, payments to restaurants or grocery stores, mortgage or rent payments, or tax payments on the home. Some jurisdictions also frown on disbursements to basic utility companies, stating that those payments are covered by the SSI payment. Most of these types of payments will result in a 1/3 loss of SSI income. So, while they are discouraged disbursements, there may be some cases in which the trustee determines that the benefit of making the payment outweighs the loss of SSI income. For example, if the beneficiary is unable to pay the tax notice on his home, the trustee may decide to pay the taxes and let that money count as income for the beneficiary the month it was paid. In this scenario, the loss of the 1/3 income is far outweighed by keeping the home taxes up to date, assuring that the beneficiary has a place to live. When institutionalized clients come to us with a Special Needs Trust, we must be cautious with distributions as well. However, there are plenty of supplemental needs the money can pay for. Nursing home patients can use the money in an SNT to pay the additional fee for a private room, a television, eye glasses and tooth care not provided for by Medicaid, the travel expenses and mileage of the sponsor to come and check on the patient, and caregiver expenses. Oftentimes, nursing homes are happy to hear that a patient has a Special Needs Trust to pay for additional expenses that arise, and some homes will look more favorably upon Medicaid and Medicaid-pending patients who have such funds to “supplement” care costs. The LWPCCS software allows us to create both first-party and third-party Special Needs Trusts that conform with the federal and state requirements and allow the greatest discretion possible to your trustees. It is, of course, important that the trustee understand what distributions he can make and that he contacts an attorney with disbursements he is unsure of. This type of trustee guidance is a great opportunity for us to provide our clients with our understanding and counsel through a maintenance plan. If you are interested in seeing our estate planning drafting software first hand, just click here and schedule your live complementary demo. Personal service agreements, or personal care agreements, are typically agreements between a family member providing care and another needing care. These agreements act as a legal contract between the two parties regarding the range of care one party is providing to the other. As a Medicaid and/or VA planning tool, a personal service agreements may act as a method of spend-down while making sure your elderly client is provided the services needed and is appropriately compensating a family member who is making personal and professional sacrifices to provide the services. We are excited to share that the LWP Client-Centered Software is now providing a comprehensive Personal Services Agreement that thoroughly addresses the many issues that Medicaid will consider when analyzing a care plan. The care plan also offers the language you will need if a client starts receiving VA benefits and plans to pay those to a child or family member to provide care. First, the software incorporates all parties involved in the plan and requires that all parties sign the plan. Medicaid wants to make sure that the compensation offered to the caregiver is reasonable in the area of the country where the services are provided. The LWPCCS incorporates the hourly rates of court-appointed guardians, geriatric-care professionals and general-service providers to justify the hourly rate paid to the caregiver. If you opt to do so, the software can calculate the hourly rate of the caregiver as the average of the rates provided for the professionals mentioned above. Medicaid will want to know where the care is provided. This can be especially important if the child is moving in with the parent to provide care in lieu of nursing care, as they may later qualify for the child caregiver exemption. The software assumes the care is at the home of the person needing care. However, with the click of a button you can choose another place of care, be it in the child’s home, an assisted living facility, an independent living facility or a nursing home. The terms of the agreement are an important part of creating a valid contract and meeting Medicaid requirements. The LWPCCS allows you to determine the start date of the agreement, the term of the agreement (lifetime, term of years or term of weeks), how often the caregiver will be paid, and the hourly rate the caregiver receives. Another important note: When the caregiver agreement is produced, it defines the caregiver’s role as that of a general contractor and eliminates any tax liability for the person receiving care, providing additional protections for your client. The feature of the software that allows you to specify which activities of daily living (ADLs) the person needs assistance with can help with Medicaid guidelines and VA guidelines as well. Finally, alternate caregivers are named for any time periods during which the caregiver is unable to perform the tasks, due to personal illness, vacation, other employment or any other reason. You can find the new personal services agreement in the LWPCCS under the Medicaid Qualification folder, since we see it as a critical part of Medicaid planning. 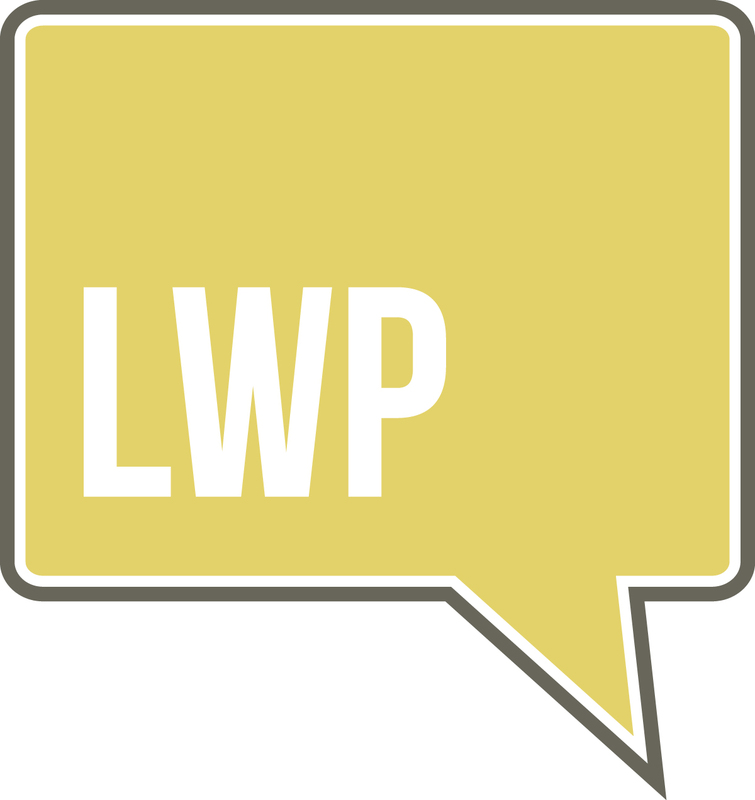 Incorporating the new LWP Personal Care Agreement into your practice is yet another layer of solid legal planning and documentation we provide for our clients as LWP attorneys. If you want to learn more about adding medicaid to your estate or elder law practice register for our FREE WEBINAR "Simplifying Medicaid Eligibility & Qualified Transfers" on Tuesday, March 15th at 2 EST. Click here to reserve your spot now. Learn the Qualification Standards: Does Client Meet Needs Tests? Just register here to reserve your seat... it's 100% FREE! I was in 5th grade when I got my first ghetto blaster. It was pink and came from Santa wrapped up with a David Bowie cassette tape. I played “Dancing in the Street” on that ghetto blaster, danced around my room and stared at my David Bowie poster what seemed like a million times. He was an icon. His music masterfully took over MTV during the time period when MTV played music videos. He was able to paint the exact picture he desired his audiences to see. A talent he held even in death. David Bowie fought cancer for 18 months privately and died in his home, peacefully, surrounded by family. With the help of his wife, Iman, and children David died exactly as he lived … on his own terms. As soon as I read of the way that he passed, I instantly knew that David had a personal care plan. He decided exactly who he wanted around him at death. It has been reported that when he got too sick to go to his favorite pub for his favorite sandwiches, assistants would go pick them up for him. When facing a chronic disease, there is so little we can control, but isn’t it nice to know that we can plan to be as comfortable as possible, surrounded by the things and people we love and sheltered from those we do not want around. Personal care plans are an amazing, yet largely overlooked, estate planning tool. While having our finances in order is critical, knowing we will pass with the comforts and dignity we deserve can offer more assurance than any other portion of a well-made plan. Early in my career, I largely disregarded the personal care plan as an ancillary document not necessary. But, as I watched client after client pass in various ways under various circumstances, I saw over and over not only the comfort it brought to the ill party, but the guidance and assurance it brought to family members that they were honoring their loved one as he would have wanted. A well written personal care plan allows a client the ability to guide who visits during end stages of life. It guides the determination of when and in what condition the person wishes to be taken out in public. It allows a person to select what food, drinks, television shows, books and entertainment he wants available when he can no longer articulate such things. It lists religious preferences and whether or not one wishes to attend church services. Personal care plans also offer the ability to appoint one’s own disability panel. This disability panel is a group of individuals in someone’s life who will decide when a person is incompetent for purposes of any trust in which his estate is held. What a power! Now this person has kept his life from going on display as a Judge who knows little about him determines his competence. Instead the decision is made by a hand selected group of loved, trusted people in a private manner. Streamline your practice, increase revenue, avoid malpractice - all while working fewer hours and enjoying more time to spend with your family and serving your community. Create targeted marketing and sales efforts so your practice grows reliably, predictably, and CONSISTENTLY! Build lasting relationships with referral sources and strategic partners - ensuring your clients stay loyal AND work on your behalf referring their friends over and over again! Pat Summitt, arguably the greatest college basketball coach of all time, would have been described by those who knew her as a focused, opinionated leader and an athlete with an uncontrollable desire to compete and win. In 2012, I had the opportunity to meet Pat at the National Alzheimer’s Association Dinner in Washington D.C. She was as determined as ever to fight the disease that had taken her memory starting at the age of 58, but she stood back, timid behind her son, who spoke for and guided his mother throughout the evening. Glen Campbell may be the most powerful public reminder of a haunting, stigmatic disease. Diagnosed in 2011, Campbell brought Alzheimer’s and dementia awareness to the forefront of political debate by publicly announcing his diagnosis and continuing to appear in public as his memory faded away. To date, Campbell can remember very little about those around him, but his wife states that he can still play the guitar. Over the last several years, we watched and read celebrity gossip sites with great interest as Robin Williams seemed to struggle with various medical diagnoses, from mental illness to Parkinson’s disease. Robin, unbeknown to most, had been planning to enter a care facility when he died. It was only after Robin passed away that doctors found he had lived with Lewy Body Dementia. Certainly, the loss of a person whose life is as large and bright as that of Robin Williams ripples through a culture. His wife’s bravery in coming forward to speak of his silent, undiagnosed struggle with Lewy Body Dementia opened the door for us and our clients to ask questions about the growing problem of dementia plaguing our society. As November is Alzheimer’s and dementia awareness month, it is a good time for us to take a look at this epidemic and ask ourselves what we can do as attorneys, community members and family members of those who suffer with the disease. The facts and figures surrounding Alzheimer’s and dementia are staggering. Currently, dementia stands as the sixth-leading cause of death in the United States, and it is the only cause of death in the top 10 that cannot be prevented, cured or slowed. One in three seniors die with some form of dementia, and two-thirds of these sufferers are women. Despite the widespread growth of Alzheimer’s and dementia, only 45 percent of those who suffer are currently correctly diagnosed with the disease. Not to be overshadowed are the costs Alzheimer’s is inflicting on our healthcare system. In 2015, dementia care will cost our nation $226 billion. By 2050, these costs are predicted to rise as high as $1.1 trillion. With several state Medicaid programs struggling to stay afloat, and the number of institutionalized sufferers increasing daily, the United States is staring in the face of a major healthcare crisis. As elder care attorneys, we must inform our clients of the fast-growing effects of Alzheimer’s and dementia, of the ability of these diseases to strike at younger ages, and of the complete disregard the diseases have for overall health and socioeconomic lines. While it is important that legal advice is sought immediately upon diagnosis of a dementia-related disease, due to the lack of proper diagnosis, it is also essential that every family move forward with estate plans at younger ages. Having a proper plan in place can in small part reduce the grueling toll this disease has on families. As strong, educated voices for the elderly and aging populations, we can take active roles in requesting that Congress fund the National Alzheimer’s Plan and hold our elected officials accountable for their actions as science moves forward in seeking a cure for this disease. In honor of Alzheimer’s Awareness Month, the National Alzheimer’s Association is asking all people to sign a petition to all presidential candidates in the next election asking that they announce their plans to fund research for this disease. The petition is available on their website at act.alz.org. As a member of the Lawyers with Purpose community, it brings me such joy to hear the stories of our members and the countless ways we give back to our local communities through volunteerism and financial support. Continuing our personal support for funding the fight against Alzheimer’s is an invaluable way for us to give back. As November is Alzheimer’s Awareness Month, there is no better time to ask ourselves what we can do, as individuals, as attorneys and as loved ones of those who suffer, to help find a cure for Alzheimer’s and dementia. If you want to experience first hand what it's like to be a Lawyers With Purpose member, and feel the synergy and community, join us this February 22nd - February 26th for our Tri-Annual Practice Enhancement Retreat in Florida. Click here for the full agenda and reserve your spot today. We're filling seats quickly and early bird pricing ends soon so grab your spot now!